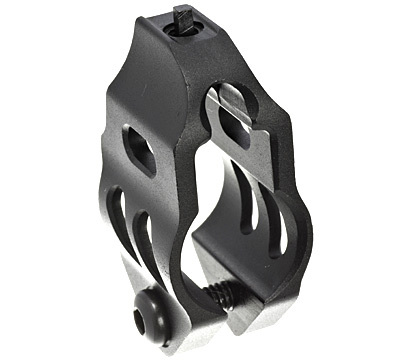 Clamp-on UTG New Gen Tactical front sight assembly for the Ruger® 10/22® rifle and 22 Charger™ pistol. 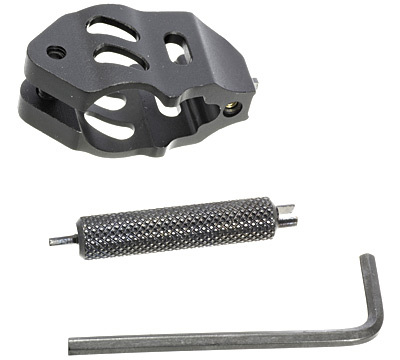 Features include precision machined parts from aerospace grade aluminum with hard anodizing matte black finish, a complete front sight assembly with dual purpose one piece steel adjustment tool and 3mm Allen wrench; windage and elevation adjustment with reference marks for precise zeroing, an optimally sized aperture allows for quick target alignment with minimum obstruction to the shooter's view and are low-profile. 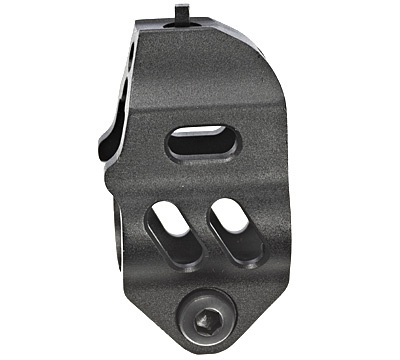 Match this front sight with UTG Sub-compact rear sight (Ruger item 12904). Made by Leapers®, Inc. This front sight is almost perfect. It mounts easily, outstanding adjustment range, solid construction, w/ suburb fit & finish, now for the only thing keeping it from receiving a 5 star rating. its hard to pick up the tiny black post. Luckily it was an easy fix. A trip to the local hobby store to purchase a small vial of florescent neon green paint solved the problem. Now that baby is even easy for my old eyes to pick up! This is a combo review with the front sight since they have to be used together and for use on a Charger. First, item is misrepresented, it is made in china not the US. If I had known that I wouldnt have considered this set. 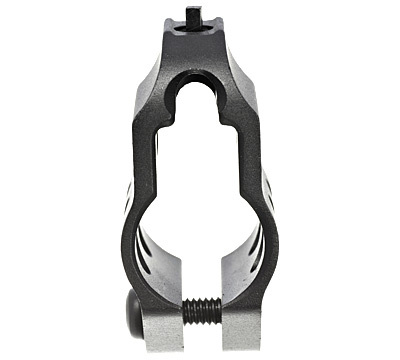 Second, the front sight was too narrow to openly slide over the end of the barrel and caused significant marring to the finish. Yes, thread protector was removed. I would not recommend this set because of those 2 reasons- especially the second. I also ordered this and was not alerted it was out of stock and it took over a month to arrive. It was too late to cancel since the front sight was enroute. Very bad experience for a brand new gun I got for my birthday.